Luxury Real Estate Marketing: When Should Your Name Become Your Personal Brand? Think of some of the most recognizable personal brands: Martha, Seal, Sting, Cher, Lance, [the] Donald, Kobe, and Coco. What category of celebrity comes to mind for each? Coco’s design standards were exacting. And, she was a task-master who insisted that her clothes reflect her personal, exacting impeccable standards. 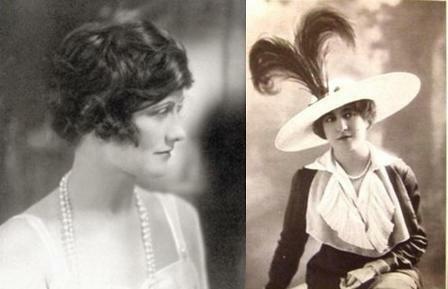 We know this first hand as Alexandra’s grandmother was a master finishing seamstress for Chanel in Paris as young woman. The attention to detail was relentless. Clearly, Coco enjoyed top-of-mind status in the field of high fashion as a personal brand, a status that extends to the company brand as well, to this day. Top-of-mind is the goal of any luxury real estate marketing professional who is aiming for market leadership and celebrity status. Are you ready for celebrity status in your luxury real estate marketplace? If not, you might want to consider a different tact when approaching your personal branding, other than using your name as your brand.